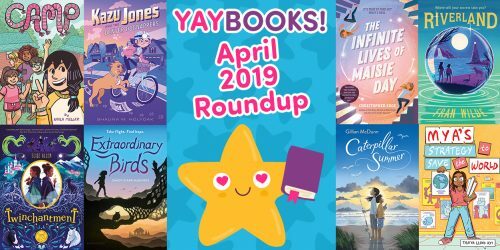 Friday Barnes: Girl Detective | YAYOMG! We recently posted about the Baker Street Peculiars, an upcoming Sherlock Holmes inspired comic series where 3 kids team up to solve mysteries together. 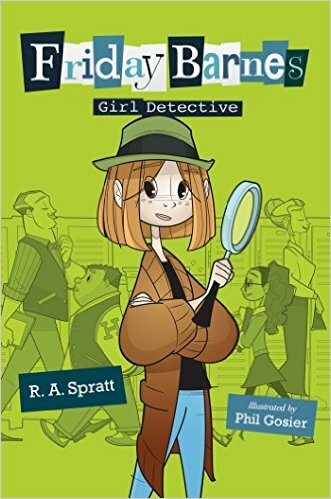 But if comics aren’t really your thing (or if you just can’t get enough of detective stories), Friday Barnes: Girl Detective might be right up your alley. 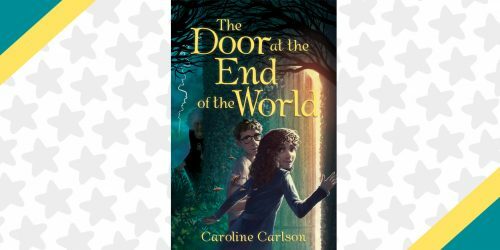 It’s got middle school drama, tons of mystery, and hilariously quirky characters that will keep you laughing the entire way through. There’s also really great artwork throughout the book that really enhances the story. 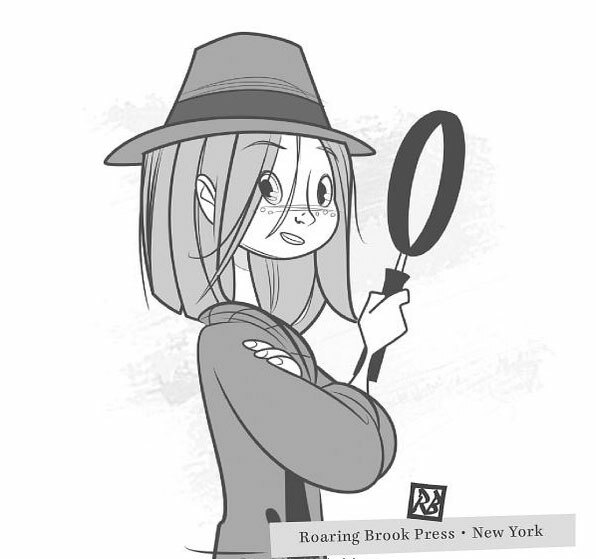 Written by R.A. Spratt (and illustrated by Phil Gosier), Friday Barnes: Girl Detective puts an adorably unique spin on your usual Sherlockian style mystery series. The only person she’s truly close with is her Uncle Bernie who is an investigator for an insurance company. When Friday helps Uncle Bernie solve a bank robbery and gets a huge reward, she uses the money to attend an exclusive boarding school called Highcrest Academy. Unfortunately for Friday Barnes, at Hillcrest Academy she can’t exactly hide behind her boring clothes when all the other kids wear designer clothes. 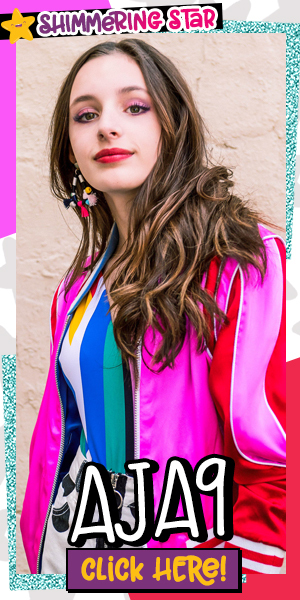 But that’s not even the worst of it – it’s not just her drab clothes that are making her stand out, her knack for solving crimes definitely gets her noticed because Highcrest Academy is riddled with crime! 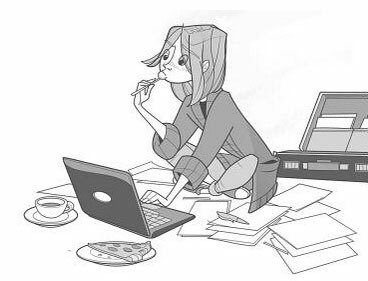 Shortly after enrolling in the school, Friday finds herself with a ton of paying clients and her very first arch nemesis – the very cute (and very arrogant) Ian Wainscott. 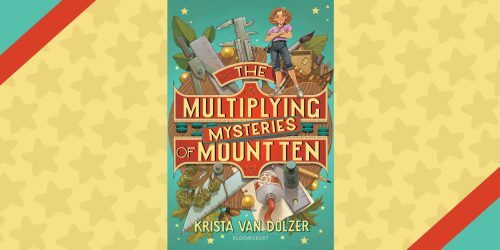 While most of her cases have been pretty easily solvable “rich kid problems” such as missing electronics and disappearing homework, the headmaster hits Friday with a doozy of a case – there’s been sightings of a terrifying Yeti-like beast in the nearby swap. Will Friday be able to solve such a dangerous and strange mystery and will she ever find out why Ian is out to get her? 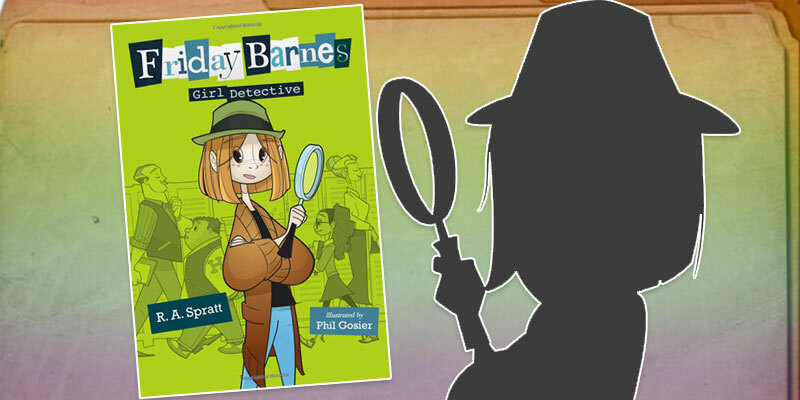 You’ll have to read it to find out, but we’ll give you a hint: Friday Barnes: Girl Detective is the first book in the series, so this book ends on a serious cliffhanger that you’ll have to wait til the sequel comes out to find out what happens next. If you’re as obsessed with Friday Barnes as we are after reading the first book, don’t fret – the sequel, Friday Barnes: Under Suspicion hits shelves this August!